Gravico, Profile/pipe extrusion, Solutions | Contrex S.r.l. 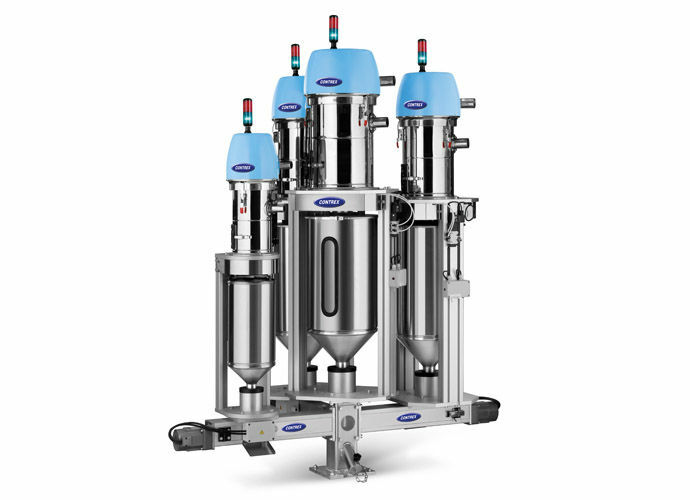 GRAVICO is a continuous loss-in-weight multi-component dosing system equipped with an automatic weight/liner meter adjustment and designed for continuous cycle processing (film, pipes, profiles, mono and co-extruded sheet). This dosing system is designed for use with up to eight components for wide range of configurations. GRAVICO is automatically managed by the NAVIGATOR 9000 control for automated management of the system production parameters including: cooling ring control, gauge control, extruder haul-off and extruder speed.